The Hon. Curtis Pitt is Queensland’s Treasurer, Minister for Aboriginal and Torres Strait Islander Partnerships and Minister for Sport. He has previously served as Minister for Employment and Industrial Relations. Prior to the January 2015 election Curtis was Shadow Treasurer and Shadow Minister for Trade, Employment, Energy and Water Supply, Aboriginal and Torres Strait Islander Partnerships, Curtis is also Leader of Opposition Business in the Parliament. Curtis was also Opposition Spokesperson for Main Roads and Sport and Recreation April 2012-February 2014. Prior to the March 2012 election, Curtis was Minister for Disability Services, Mental Health and Aboriginal and Torres Strait Islander Partnerships. During his time in Cabinet, he oversaw the launch of the Learning Earning Active Places (LEAP) strategy to close the gap for the nearly 80 per cent of Queenslanders who live in urban and regional areas who identify as Aboriginal or Torres Strait Islanders. In 2011 he also released ‘Just Futures’, the Queensland Government’s Aboriginal and Torres Strait Islander justice strategy to reduce the over-representation of Indigenous people in the criminal justice system. During NAIDOC 2011, he launched the ‘Deadly Stories’ campaign. As Minister for Disability Services, he released ‘Absolutely Everybody’ — Queenslands ground breaking 10 year disability strategy, as well as the Carer Action Plan 2011-14, which focuses on the varying needs of carers. He also introduced the Forensic Disability Act 2011 and the Forensic Disability Service which provides a therapeutic model of support for those people on forensic orders with a sole diagnosis of intellectual or cognitive impairment. He was also a member of the COAG Select-Council working with the Australian Government to lay the foundations for the National Disability Insurance Scheme (NDIS). And as Queensland’s first Minister for Mental Health, he jointly launched the anti-stigma campaign ‘Change Our Minds’, followed soon after by the launch of a new mental health community services plan ‘Supporting Recovery 2011-2017’. He also led the development of the first Mental Health Commission for Queensland – another major mental health reform. Prior to his appointment to Cabinet, Curtis was Deputy Government Whip (May 2010 – February 2011) and briefly member of the Environment and Resource Committee. He was a member of the Integrity, Ethics and Parliamentary Privileges Committee (April 2009 – February 2011) and Temporary Speaker/Deputy Speaker (April 2009 – May 2010). 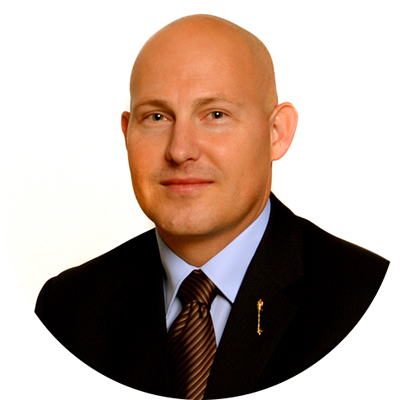 Curtis has also previously been a member of various Ministerial Legislative Committees. Curtis was an Auxiliary Firefighter with the Queensland Fire and Rescue Service, and is currently a member of the Edmonton Lions Club and the Gordonvale RSL Citizens’ Auxiliary. Curtis has played in local cricket, basketball, tennis and rugby league teams and enjoys cycling, golf and running for personal fitness.